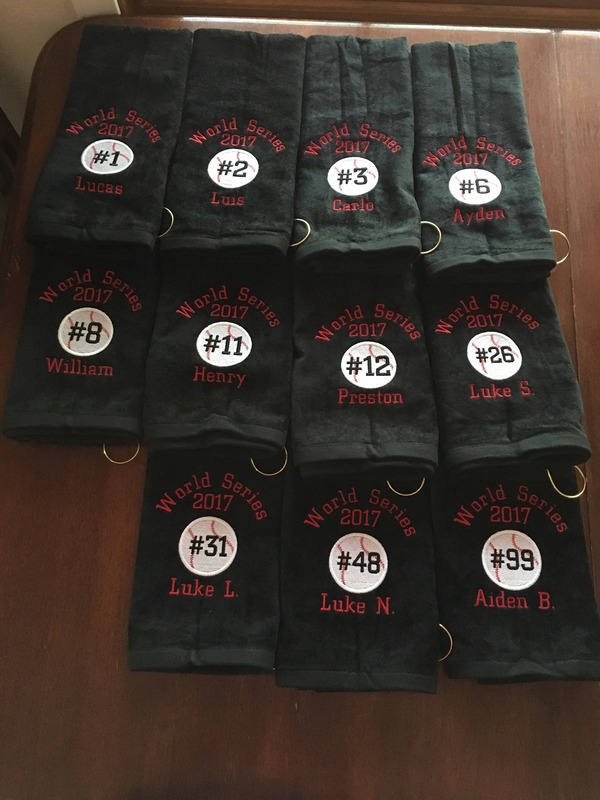 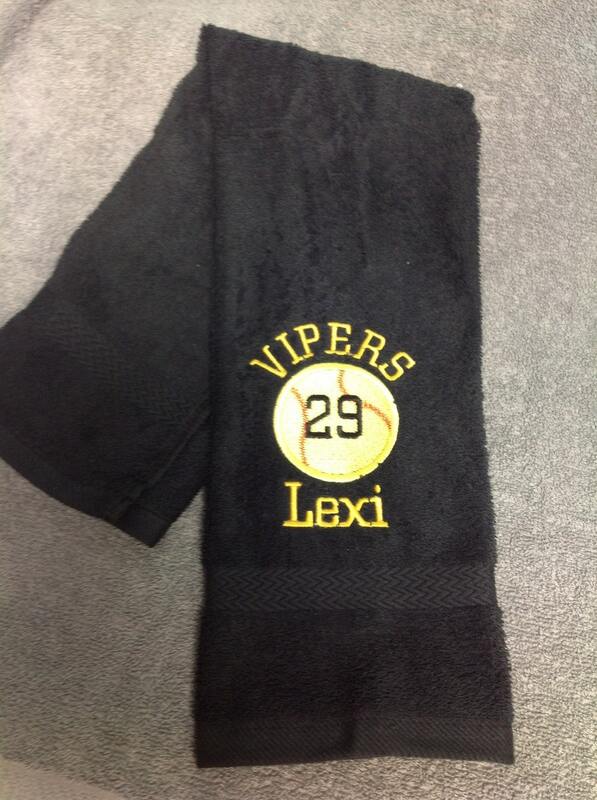 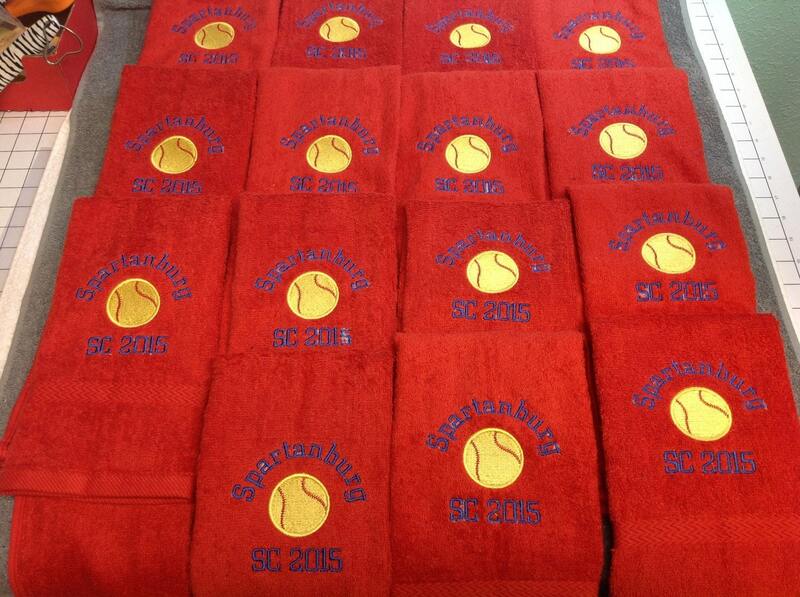 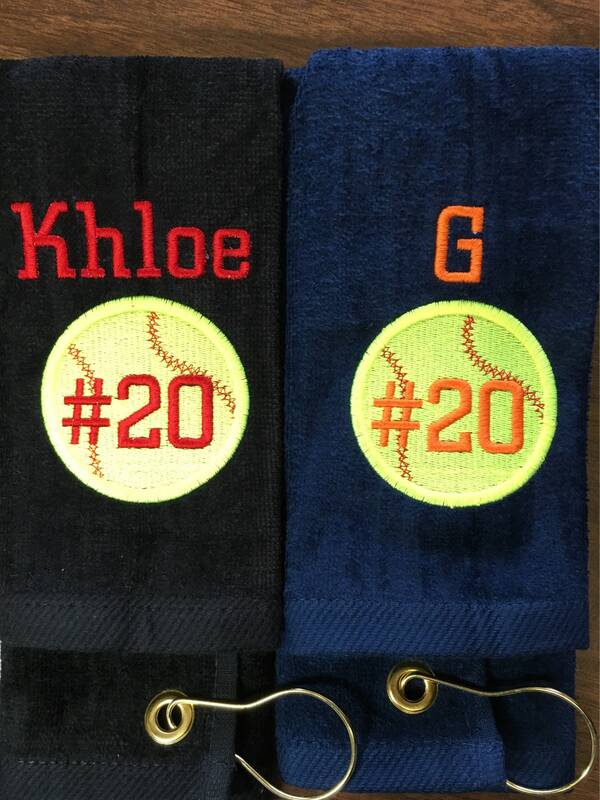 Personalized softball or baseball towel for team sports. 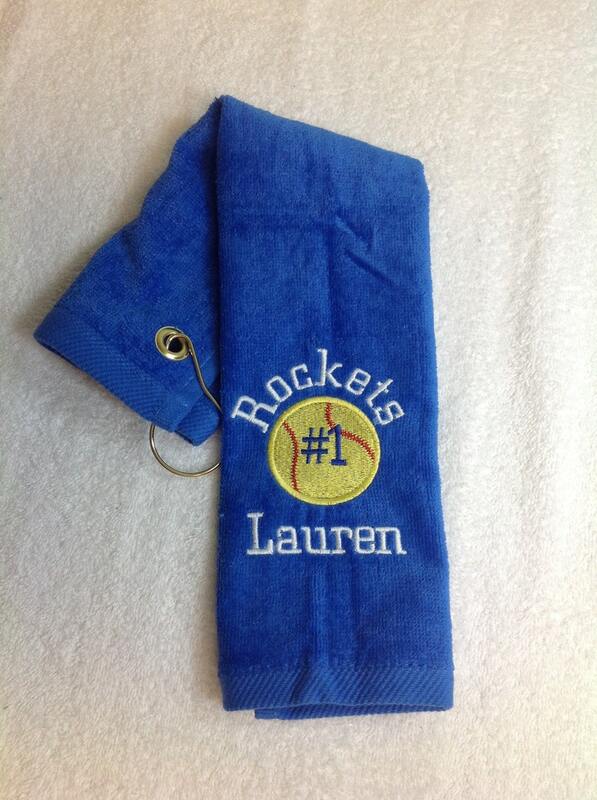 In any color with custom embroidery included. 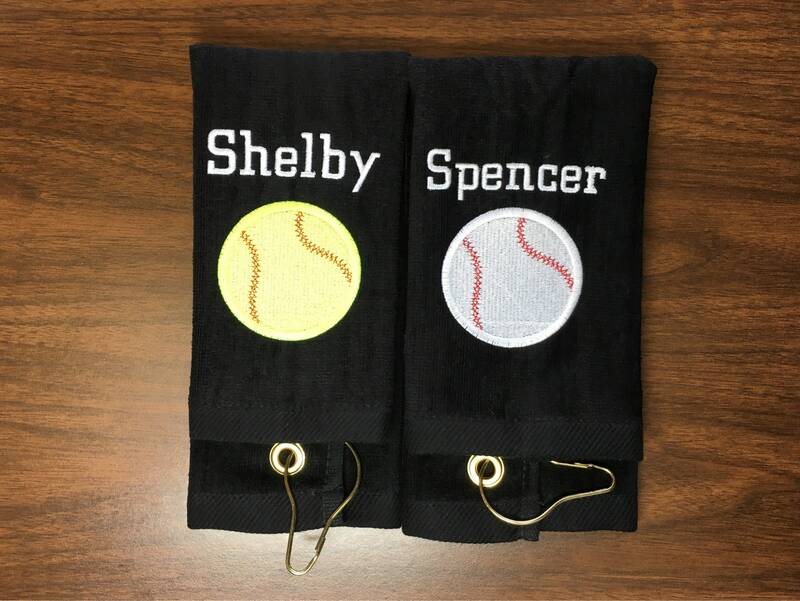 Personalized baseball or softball gifts. 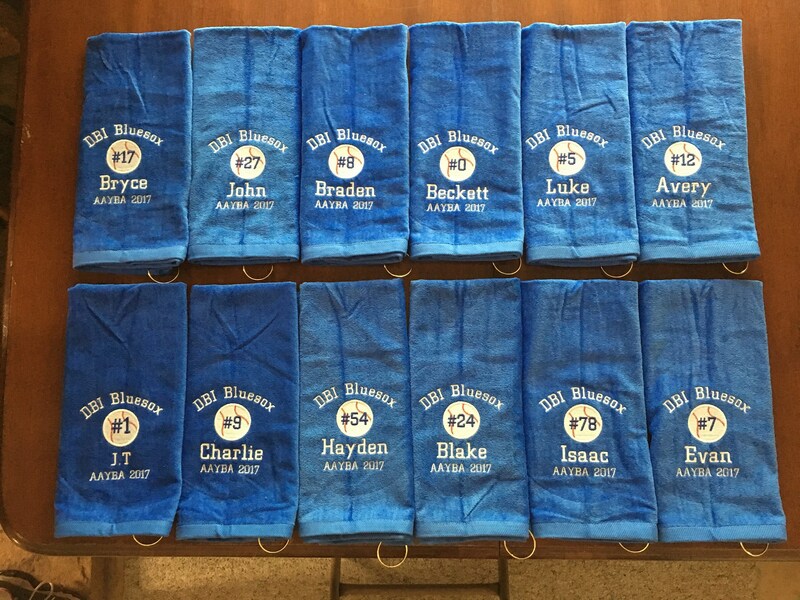 Pin towels with custom personalized embroidery. 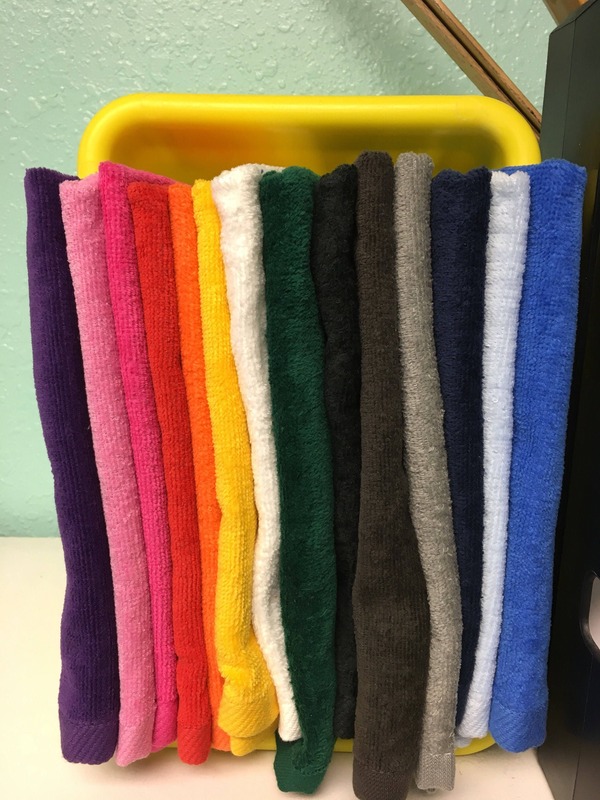 Towels are 16 X 27 terry velour or 11 x 17 with or without grommet and hook choose in drop down. 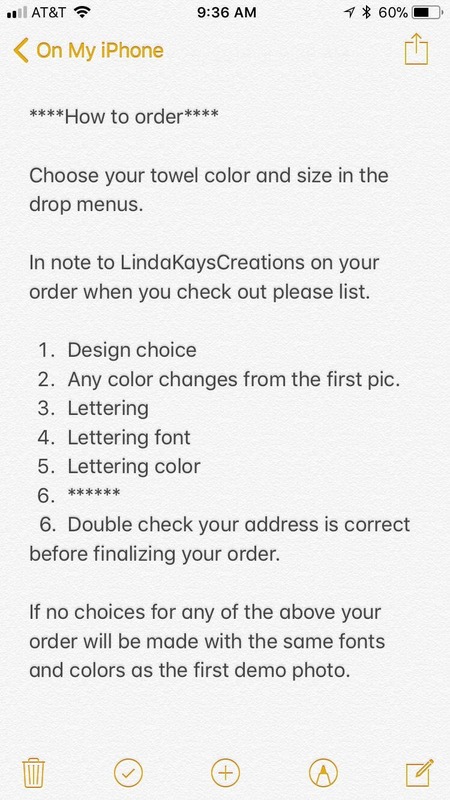 FOR MORE THEN ONE TOWEL PLEASE list Team name, numbers and names, font and colors in note to seller on your order at check out.